Sixty-nine years ago today, a huge fireball rose slowly above the New Mexican desert. 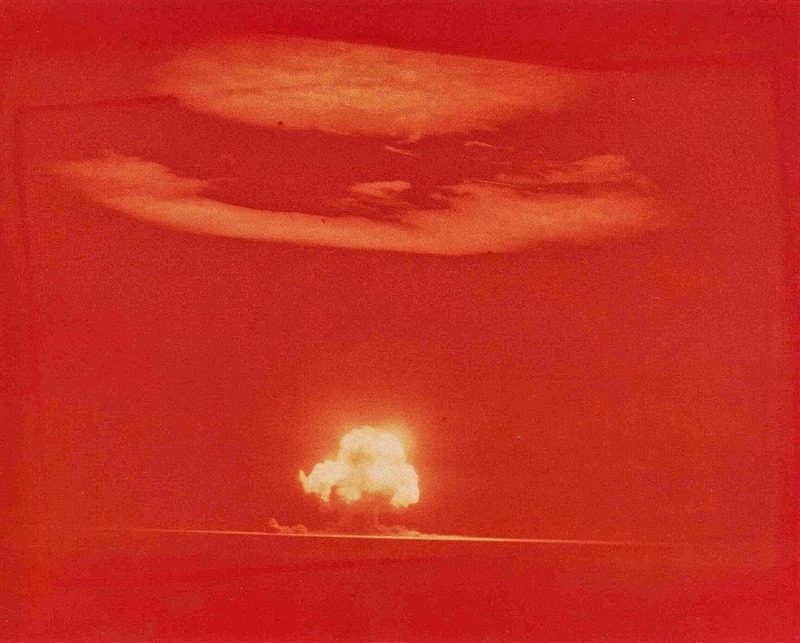 The Trinity test signified that for the first time, physicists working on the Manhattan Project had successfully split the atom and built the first nuclear bomb. 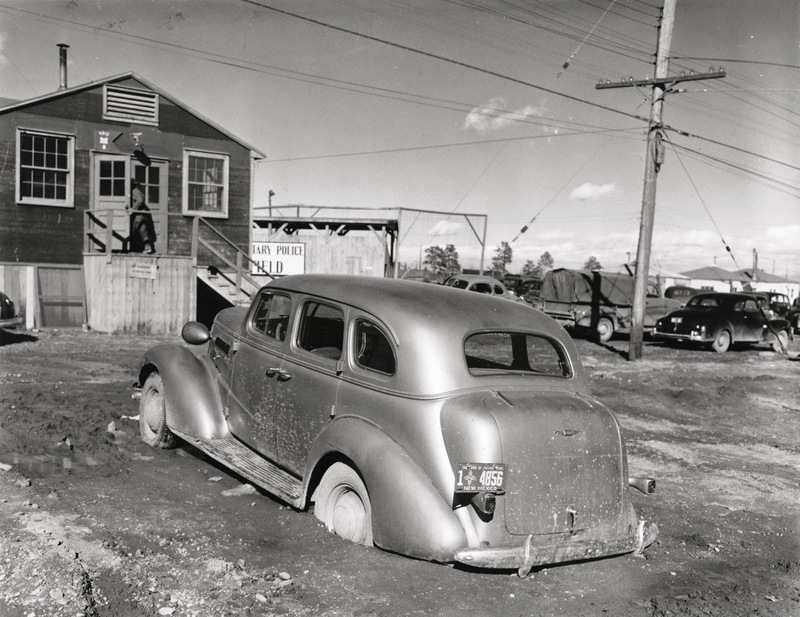 The Atomic Heritage Foundation's Voices of the Manhattan Project website is an unparalleled trove of historic interviews with the veterans of the project. There's collected historic recordings of everyone from the heads of the project like physicist J. Robert Oppenheimer and General Leslie Groves, to more recent interviews with the people that history often overlooks, like the secretaries, technicians and people who just lived nearby. On this week's podcast, we spoke with the founder and lead interviewer at the foundation, and heard some of the lesser known stories of the Manhattan Project. It's an amazing peek inside America's secret cities of World War II. 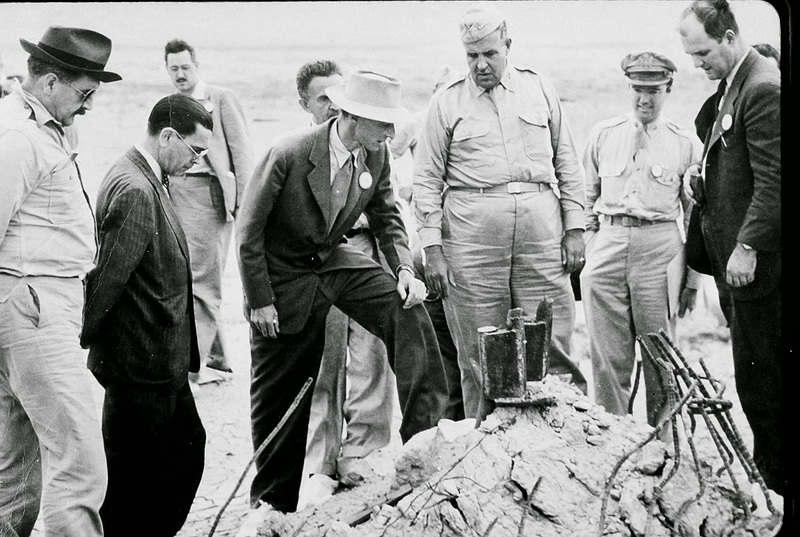 Project leaders J. Robert Oppenheimer and General Leslie Groves inspect the mangled remains of the first atomic blast. Though central to the success of the project, nearly half a million people contributed to the secret war effort. 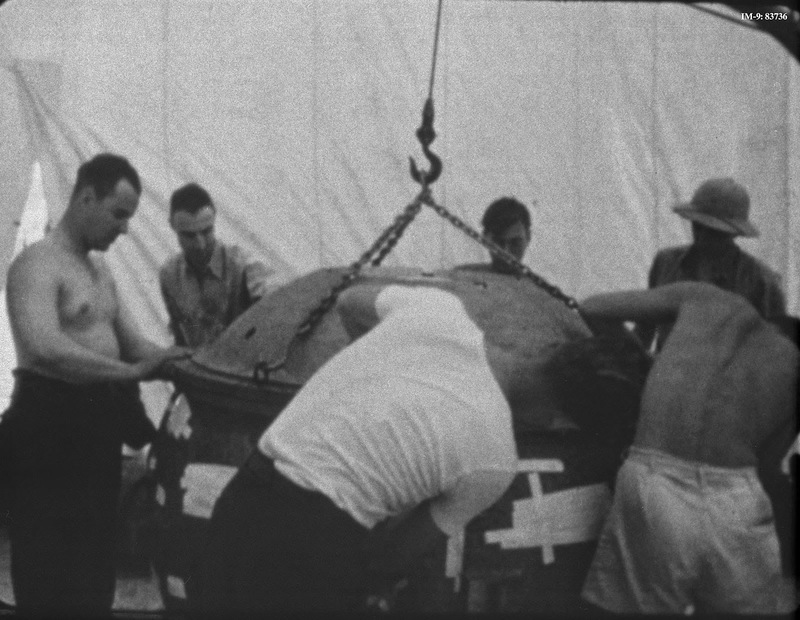 Secret cities to manufacture and assemble the parts for the bomb popped up in Los Alamos, New Mexico (above) Hanford, Washington and Oak Ridge, Tennessee. Often times basic infrastructure lagged behind the scientific infrastructure at these sites. 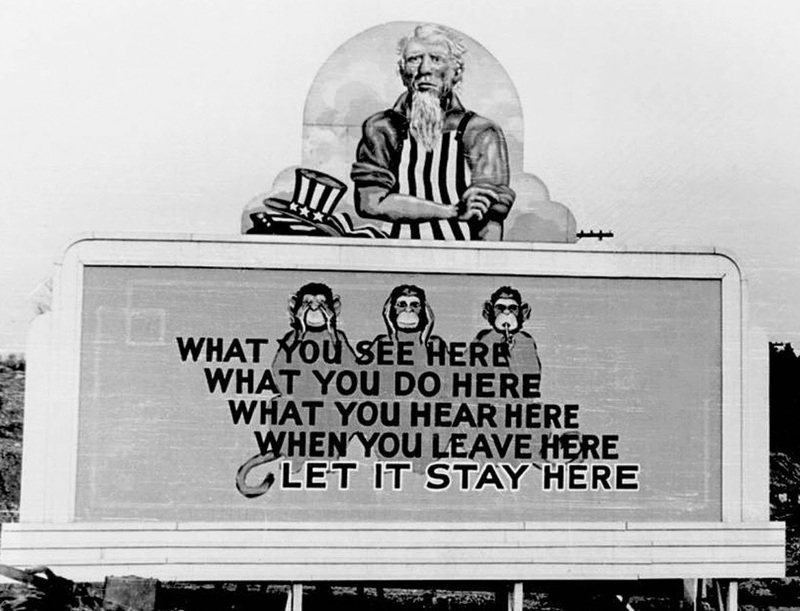 This sign at Oak Ridge emphasized just how serious the emphasis on secrecy was at all of the locations. Most of the people working actually on the atomic bomb had no idea what they were building. Considering how big some of the facilities were, it's amazing that it was kept such a close secret. 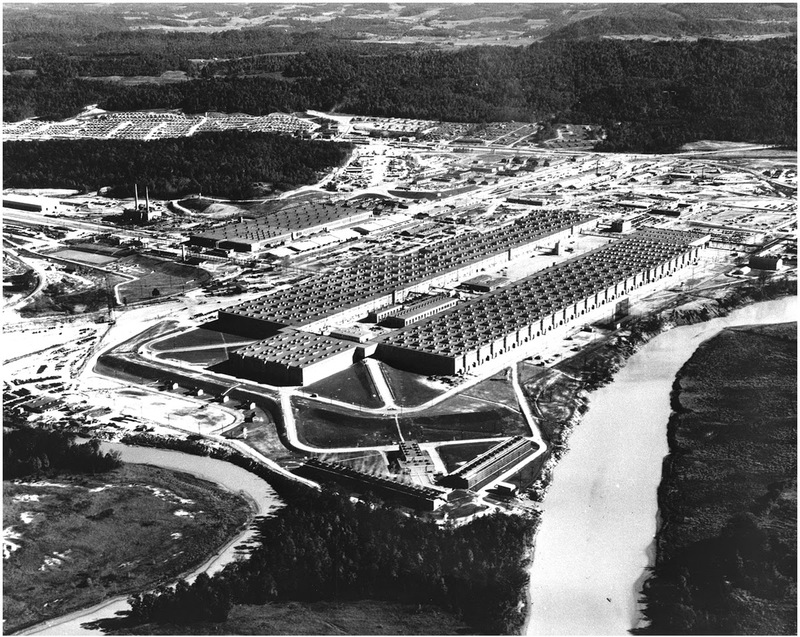 This is the K-25 facility, where fissile uranium-235 was separated from unusable uranium-238. Most workers only saw a tiny sliver of the project, not nearly enough to put together a complete picture of what was going on. 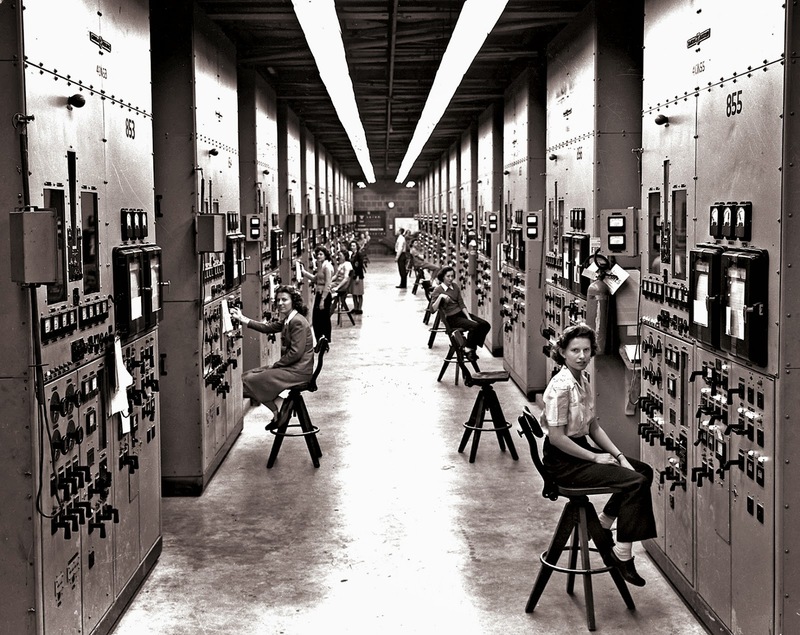 Here women operate calutrons at the Y-12 plant at Oak Ridge, another means to separate uranium. After nearly four years of work, scientists assemble "The Gadget" just days before the final test. Replica Handbags: Amount & Superior Consciousness!Our handmade Replica accoutrements are absolute artist delights consummate accessories for gucci replica the appearance conscious,at a atom of the amount of an aboriginal artist handbag.You could buy a Versace replica backpack for anniversary day of the anniversary for the amount of one aboriginal Versace handbag.Afar from you and Beubag.com,no one abroad will apperceive that your Versace replica backpack is louis vuitton replica a replica and not the actual original!Most able who abrasion these Rolex replica watches accept accepted that they accept begin a new angel of themselves afterwards they accept started cutting these Rolex replica watches!So what are you cat-and-mouse for? Get one of the endless models of cartier replica the Rolex replica watches and see your activity change immediately.Not alone will the girls at the affair battery all their amore on you,you can be blow assured that even your bang-up will pay appropriate absorption at you.Rolex replica watches accomplish these wonders and lots more.Swiss replica watches are tag heuer replica acclaimed all over their apple for their body and accomplish and you can acquisition a lot of celebrities cutting them and assuming off that they are anyone special.They wish to get the best out of activity for the least.Swiss replica watches provides them with an befalling to appearance off bell ross replica what is declared to be the best for the minimum cost. Greetings from San Diego Comic Con!